On April 3-4, Washington, D.C. hosted a meeting of the foreign ministers of the NATO member countries on the occasion of the Alliance’s 70th anniversary. In his statement to the press, NATO Secretary General Jens Stoltenberg stressed that Azerbaijan is a close partner of the Alliance and works closely with the Alliance in furthering international peace and security, the Azerbaijani Foreign Ministry told AzVision.az. “Not least, Azerbaijan makes important contributions to the NATO-led Resolute Support Mission in Afghanistan, by providing troops and assistance to NATO Allies on transit routes, on land, in the air and by rail, for example through the use of the Baku-Tbilisi-Kars (BTK) rail link,” said Stoltenberg, noting that these are important contributions to the success of the NATO mission. 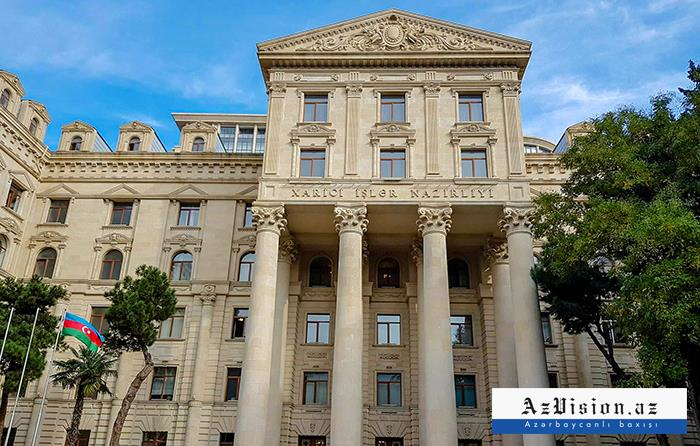 The cornerstone of the partnership between Azerbaijan and NATO was laid down on 4 May 1994 when Azerbaijan’s national leader Heydar Aliyev signed the Partnership for Peace (PfP) Framework Document, the country’s Foreign Ministry said. It noted that Azerbaijan conducts political dialogue with NATO on a broad range of issues of common concern based on the PfP principles. Since 2003, Azerbaijan has been contribution to the NATO-led mission in Afghanistan. Currently, 120 servicemen, including 2 medical officers and 6 staff officers of Azerbaijani Army are participating in the Resolute Support Mission in Afghanistan. In addition, Azerbaijan supports NATO’s efforts to restore peace in Afghanistan through the land and air transit, various trainings, humanitarian demining, as well as by financial contributions to the Afghan National Army (ANA) Trust Fund, added the ministry. Hailing the importance of the BTK railway, commissioned on 30 October 2017, the ministry noted that the implementation of this project opened up a broad opportunity for multimodal transportations to Afghanistan. “The BTK railway, which is a major part of the Lapis-Lazuli transport corridor, contributes to non-stop and safe transportations to Afghanistan by the NATO countries. The Alat international trade seaport will further expand opportunities in this area,” the ministry said.